Planning a new in-wall or in-ceiling speaker system for your home? A do-it-yourself install can be a rewarding experience that also saves you money. This guide will help you get started. We’ll give you some tips on where to place your speakers. Then we’ll explore a typical installation. If you're still shopping for your gear, check out our in-ceiling and in-wall speaker buying guide. A pair of well-placed speakers fills small rooms with pleasing background music. It’s important to have a clear plan before you begin your install. Good speakers placed in their ideal locations may sound better than excellent speakers in the wrong spots. Planning a system that's mainly for background music? Aim for balanced sound throughout your space. It’s better to have too many speakers than too few. If the speakers are too far apart, you'll have music playing too loudly in some parts of the room and too quietly in other spots. Use two pairs of speakers for balanced sound in larger rooms. We recommend installing in-wall and ceiling speakers at least 18-24 inches away from an adjacent wall or ceiling. Sometimes you want music overhead but have room for just one speaker. The solution? A stereo-input speaker, which plays both the left and right channels of your music. A stereo-input speaker is a great way to add background music to a small space. Or you may want several stereo-input speakers in a hallway or an odd-shaped room that's not well suited for stereo pairs. A centrally located stereo-input speaker is a great fit for the bathroom. It produces both channels of your stereo music source from a single location. Want background music in a long, narrow hallway? Install a stereo-input speaker at each end for balanced sound throughout the space. Creating a space where sitting and listening to music is the main focus? In-wall speakers positioned at ear level recreate the live sound experience. Try to place your left and right speakers the same distance from each other as they are from your prime listening seat. This gives you balanced, focused sound. Setting up a music listening room? Space your ear-level speakers the same distance from each other as they are from you for the best sound. 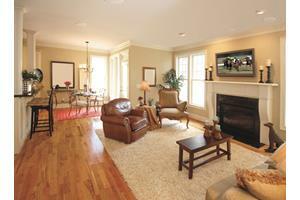 Is your home theater going to be in your living room or family room? Or will it be in a media room that’s used only for watching movies or sporting events? The ideal in-wall speaker placement in both rooms is about the same. 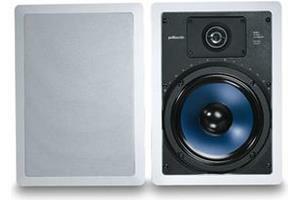 The height of the left- and right-channel speakers may vary, depending on what activities take place in your room. Say you’re entertaining in your living room, and want to play music for your guests. You want your front and rear in-wall speakers at about ear level when standing. This elevated placement gives you great music performance as people are moving around. It also gives you immersive sound effects when you watch a movie. It's tempting to install the in-wall speakers right beside the TV for aesthetic reasons. But your system will sound better if the front speakers are spread out. If you can, place your front left and right speakers the same distance apart from each other as they are from your prime viewing seat. This gives you a wide front soundstage that simulates a theater. In a mixed-usage room you want your front and rear in-wall speakers at about ear level when standing. Speaker placement in a dedicated theater room follows the same guidelines as above, except for the speaker height. Since you're not using the room for anything else, you want each speaker at ear level (or slightly higher) when seated. This gives you the best surround sound experience. Building a dedicated home theater room? Install your in-wall speakers at about ear level when seated for the best sound. Dialogue is clearer and easier to understand when your center channel is at ear level when you’re seated. But, your TV looks best when its middle line is at eye level. Choosing the center channel and TV mounting locations calls for a balance between the two factors. Decide the height for both before installing either one. You might find taping up cardboard cutouts of each helpful for determining the best spots. In most installs, the center channel goes under the TV. Try to leave at least a few inches of space between the top of the center channel and the bottom of your TV. This prevents the TV from blocking some of the center channel's sound . If you’re using rear surround speakers, face them toward the front of the room, as illustrated above. If you’re using side surrounds, aim them toward each other. If your speakers' tweeters can swivel, aim them toward your seating position. Your surround speakers should be spaced about the same distance apart as the front left and right speakers. 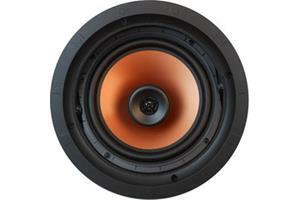 We recommend installing in-wall and ceiling speakers at least 18-24 inches away from an adjacent wall or ceiling. Planning to use overhead speakers for special effects? For Atmos systems, Dolby recommends using four in-ceiling speakers. One pair located in front of your listening position, and a second pair behind it. If your system can only accommodate one pair of speakers, mount them slightly in front of where you’ll be listening. Don’t worry if your speaker placement isn’t perfect. Your Atmos-enabled receiver’s auto calibration system will help dial in the sound. 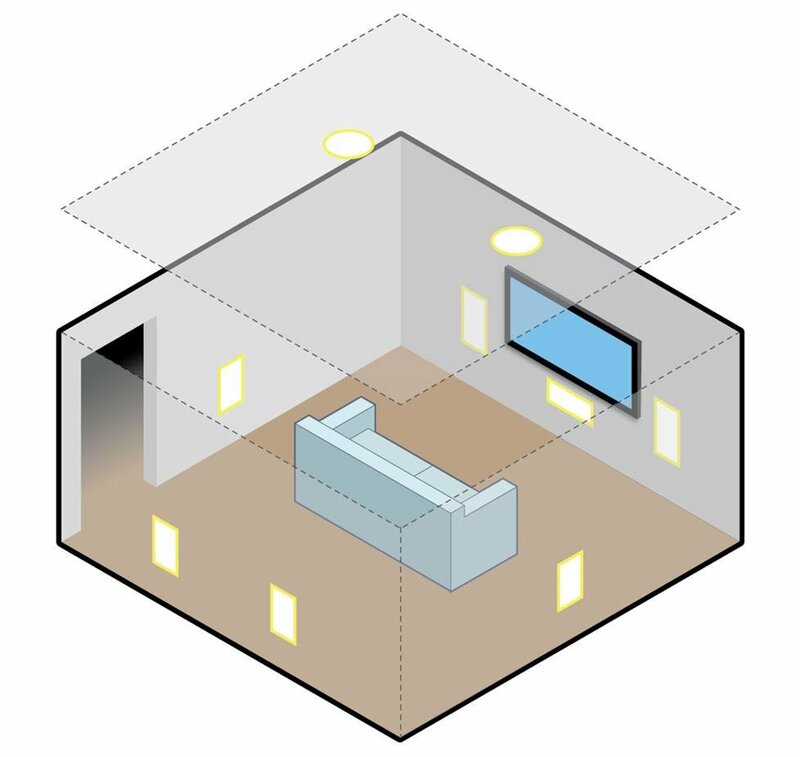 Check out Dolby's speaker setup guide for a deep dive into Atmos speaker placement. Adding a pair of overhead speaker channels to your system? Place them slightly in front of your seats for immersive sound effects. Making sure you have the right tools on hand helps ensure a smooth installation. Below is a list of the tools used in a typical install. Check the owner's manuals of your speakers to see if anything else is required. It's important that you use speaker wire that's approved for in-wall runs. You want UL-rated wire that's labeled CL2 or CL3. 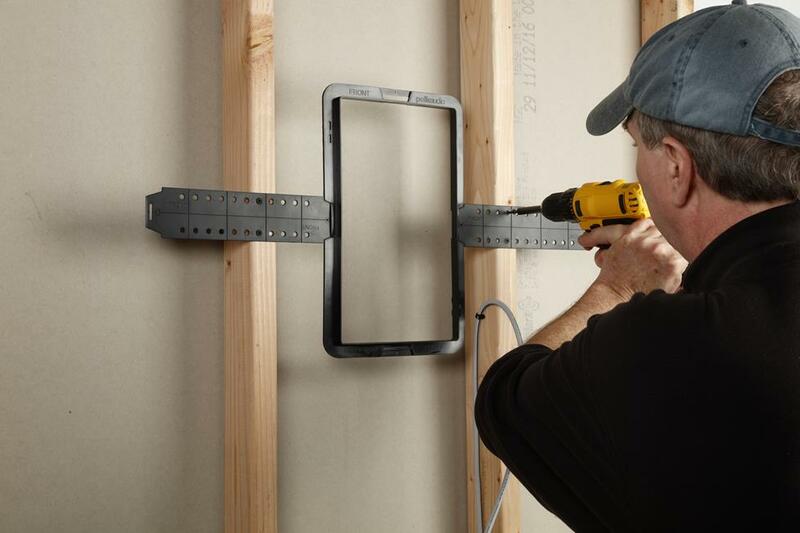 Check out our in-wall wiring guide for more info. After you map out your speaker locations, make sure there’s enough space in the wall or ceiling to accommodate them. Identify any potential hazards behind the wall or ceiling. 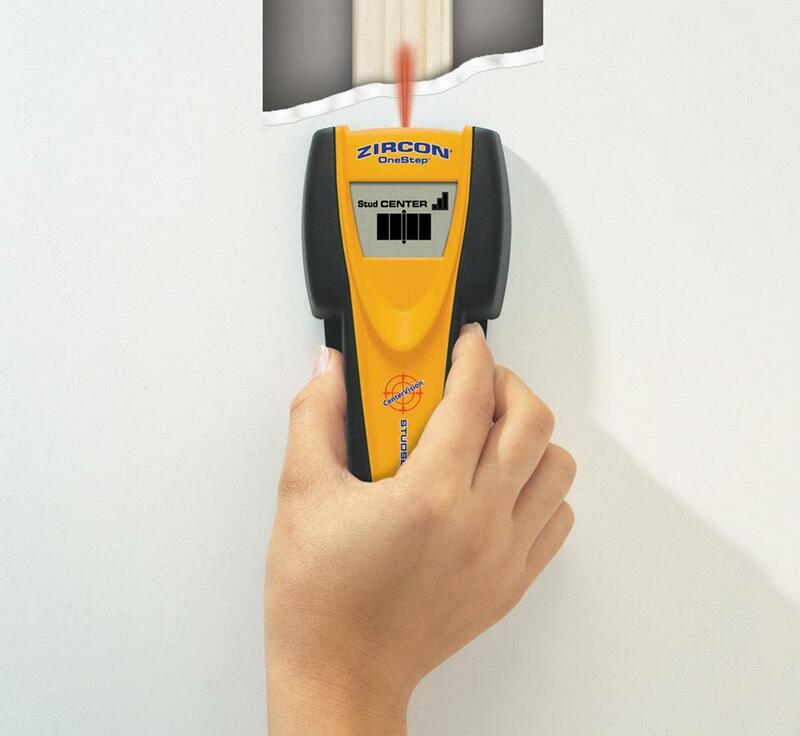 Use a high-quality stud finder that can detect metal pipes, AC wires, and other obstacles hidden behind your walls. Try to inspect as much as possible without making a hole. See if you can detect which way joists run and where empty wall space between studs might be. You’re looking for wall locations that are empty of pipes and electrical wires. You may not know what's behind the wall with absolute certainty, so you might have to cut and patch exploratory holes. 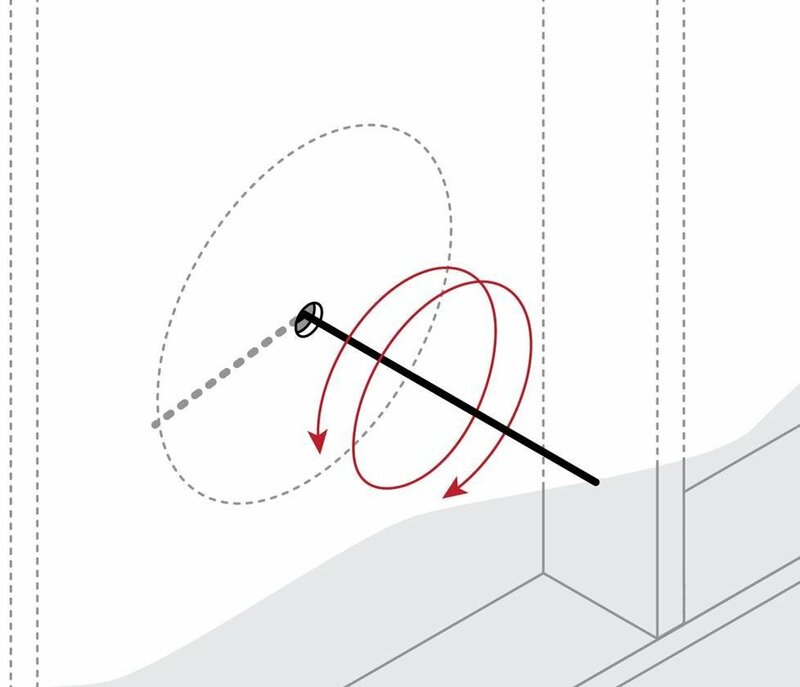 In an existing room, you'll want to drill a pilot hole to determine if each of your speaker locations will work. This lets you explore the space behind the wall or ceiling to make sure there isn’t anything there. Before you begin, turn off the power in areas you'll be working to avoid electric shock. Then drill a small hole in the middle of where you want to place your speaker. Use caution when drilling so you don't plunge your bit into a pipe or electrical conduit. A pilot hole lets you explore the space behind the wall to make sure there isn’t anything surprising there. Insert a sturdy wire (like a bent coat hanger) into the pilot hole. If there might be power lines behind the wall near your pilot hole, wrap the exploratory wire with electrical tape. Explore the surrounding area. Make sure there's enough room for the speaker, and that there’s nothing in the way. Check your speaker’s mounting dimensions to make sure there's enough space to accommodate it. Don't cut any drywall until you've drilled pilot holes and checked all of your desired speaker locations. If one of your locations doesn't work out, you might want to move one or more of them. Rough-in brackets are very helpful if you’re working with new construction. They're also useful if you're renovating an existing room where the old drywall has been removed. These brackets mount between two studs or joists. Your drywall hanger will cut the speaker holes for you. Rough-in brackets let you easily mark where each speaker will go before the wall goes up. They also give your speaker a sturdy bracing between two studs. Your speakers may have another room located adjacent to them. 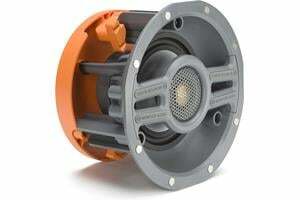 Consider in-wall or in-ceiling speakers that have a back-box to limit the sound that leaks through. 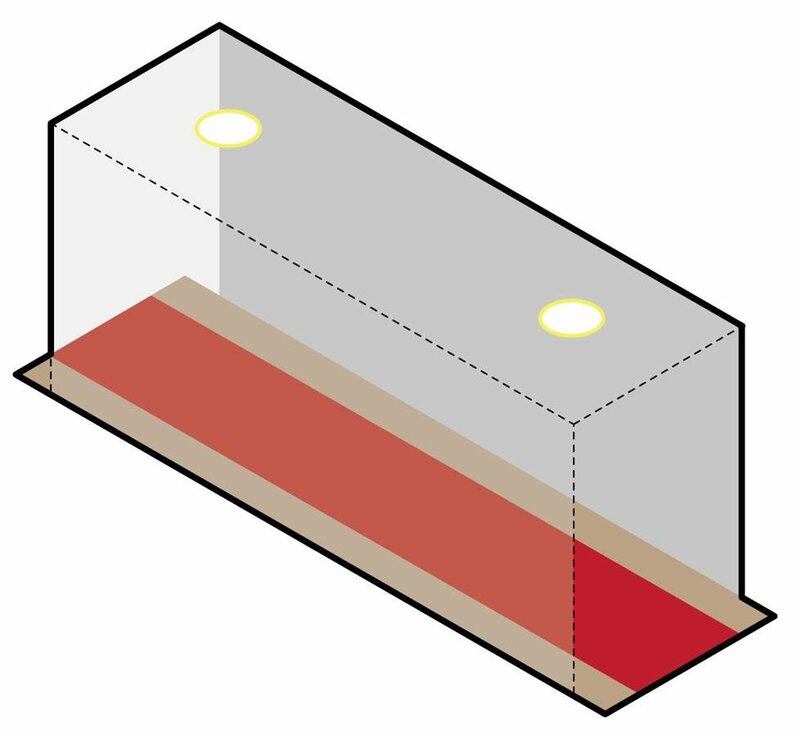 Back-boxes improve bass response by providing a sealed enclosure around the speaker. They also keep dust and dirt out as well. In this video, Crutchfield A/V expert Norm gives step-by-step instructions. We encourage a thorough viewing since he goes into detail about the entire installation process. After you check it out, scroll down for some additional tips. Cutting into drywall and plaster creates a fair amount of dust. Cover any furniture near your installation before you begin your work. It’s helpful to have someone hold the vacuum hose under the drywall saw as you cut. This eliminates a lot of the dust clouds that are generated during installation. If your house has plaster-and-lath walls or ceilings, installing your speakers will be more complicated. Plaster tends to crack and crumble easily, so you should be prepared to do some touch-up work. Running in-wall wire could be particularly challenging. It may be worth running out-of-wall wire, and using carpets, cabinetry, and other spaces to hide it. See our article on home A/V cable management for more ideas. Installing speakers in a drop ceiling is different than a normal drywall installation. Drop ceiling panels often aren’t strong enough to support the weight of in-ceiling speakers. Reinforce where the speaker is mounted with a large piece of plywood above the foam panel. Mount it to the cross braces, and then cut the speaker opening into both the plywood and the drop ceiling. For high-quality pressboard drop ceilings, you'll be able to cut directly into the sturdy ceiling panels. Once your speakers are installed, you're ready to make any final adjustments. If you have aimable tweeters, direct them toward your seats before installing the speaker grilles. Check for tone controls on the speaker. If the speaker is within a foot of a corner, set the bass controls to the "minus" or "cut" position. If the room doesn’t have a lot of upholstered furniture to absorb sound, set the treble control to the minus/cut position. Learn more about room acoustics and treatments here. Have questions about planning your new system? Our expert Advisors know the gear inside and out. Call, email, or chat with us today. Thanks for the article! The information was very helpful. Does Crutchfield have specialists on staff who can provide specific recommendations on in-wall and in-ceiling speaker placement given the layout of my room? Thanks again! 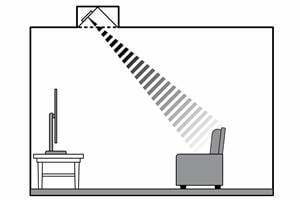 First, it helps reduce the amount of sound that can "leak" into the next room by acting as a sort of sonic barrier. It's worth noting that if sound containment is a priority, I recommend considering speakers that have a built-in back-box. Another benefit of insulation is that it helps improve the speaker's bass response. If the woofer is 5-1/4" or larger, then the addition of insulation directly behind the speaker can help the bass sound cleaner and clearer (especially the mid-bass). Finally, if some speaker locations have insulation and some don't, adding the same kind and amount of insulation behind the speakers that don't already have it will help even out the bass response for all of the speakers. This helps avoid some speakers sounding differently than others — the goal being to have fairly consistent bass response from all of your speakers. What's your take on insulation behind the in-wall speakers? About to install an 11.1 system and 7 of the speakers will be in wall. 3 of them are external walls where there will already be insulation, but the other 4 will be on internal walls. Should I drop a chunk of insulation behind those 4 speakers during the install? Hi Keith, the center channel doesn't need to be in-wall in that scenario, though you'll want to make sure you choose a center channel that matches well with your left and right speakers (give us a shout if you want some help choosing that). Try to place your center channel as close to ear level as you can, so the dialogue doesn't feel disconnected from what you're seeing on the screen. 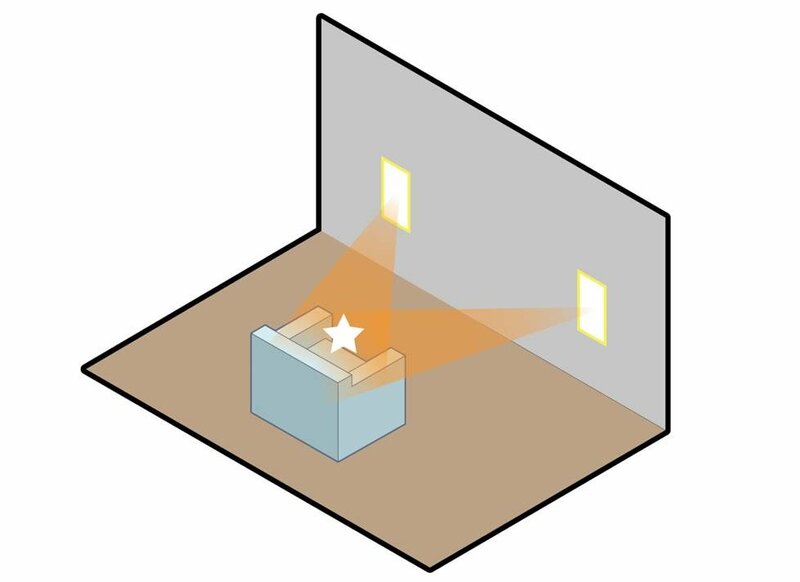 As for the left and right speaker "imaging," many in-wall speakers have pivoting tweeters. This lets you change the angle that the tweeter is firing, so that you can direct its sound towards you. Each room's acoustics are different, so I recommend experimenting with the tweeter angle to see what sounds the best in your space. If the front right & left speakers are in-wall, does the center channel speaker need to be in-wall also? If that's the desired arrangement, my center speaker would have to be just below the ceiling (8 ft). I thought it should be near the TV screen, either above or below. Also, your articles say the front right & left speakers should be aimed at the desired listening position, but how is that possible with in-wall speakers?. Hi Jason, from what you've described I think in-ceiling rear speakers will be your best option. They'll provide the most evenly distributed surround effects for your L-shaped seating. You can always reduce the output level of those channels if they feel overwhelming relative to the front channels. I'm going to put you in touch with one of our advisors who will help you select the right gear for your new system. We are remodeling our basement and are looking to add some in-wall and/or in-ceiling speakers for surround sound for movies and sporting events (thinking 5.1). Our room has 3 walls. Looking from the couch the walls are front, left, and back. We plan to put the center, left, and right speakers in the front wall but our L-shaped couch goes against the left and back walls. Where should we place our other two speakers? I was thinking in the ceiling (close to the back wall) but don't know if the sound coming straight down will be too much for those sitting on the couch. Room is torn down to studs right now so any placement is available. Hi Bill, great questions. I don't believe Atmos channels will add any additional sense of dimensionality to your listening experience if you're already using in-ceiling speakers for the other channels. If you stick with your existing in-ceiling speakers, it really doesn't matter if your receiver is Atmos-enabled or not, since you probably won't engage that listening mode. The good news is most new receivers have it anyway, so it gives you some different configuration options should you change things up. If you can add speakers closer to ear level, your listening experience will improve — especially for the front soundstage. Having the dialogue come from where your screen is located will provide a better sense of realism. Feel free to give us a shout with any other questions! Hello, I just purchased a home with 12 foot ceilings in the living room and 5 in-ceiling speakers installed. There is also a wall jack for a powered subwoofer on the same wall where the TV will be. I've read several comments here about not using a Dolby Atmos receiver for just in-ceiling speakers. If that's the case, what features would I look for in a receiver? Or would you recommend adding additional speakers and using a Dolby Atmos receiver? Thanks for your thoughts. Hi Josh, that's a great question. Some companies use moisture-resistant materials in their in-ceiling speakers. But, they aren't something that is filterable within our specs. We've had great success with the Polk Audio RC6s stereo-input speaker. It is moisture-resistant, and a great choice for the bathroom. It gives you stereo performance from a single location. I'd install one by the sink and another by the tub to blanket the room with sound. Hey team - thanks as always for your insight. In-ceiling speakers in a master bath (vanity/sink) and tub area. Are most in-ceiling speakers ok for this environment or do i need to look at specifications. Vanity area is dry, but tub area will be humid. Hi Johnny, your proposed layout makes a lot of sense to me. Yes, putting your rear overhead surrounds two feet behind you is fine. I'd space them the same width apart as your front left and right speakers (slightly wider is fine too). Using two subs will give you fantastic bass. Opposite corners on the same side of the room is fine. Check out our subwoofer placement guide for some detailed tips on getting the best bass possible. I figured out where the in wall speakers go for the front left/right and center for my basement theatre. My rear speakers have to go in the ceiling in my HVAC soffit which is about 2 feet behind the sofa. Is it ok to place the rear speakers in the ceiling 2 feet behind me? How far apart should the two speakers go? i was thinking of putting two subwoofers on the floor. They would go along the same wall as my TV and front speakers but on opposite corners. Does that make sense sound wise? Hi Jondo, great questions. 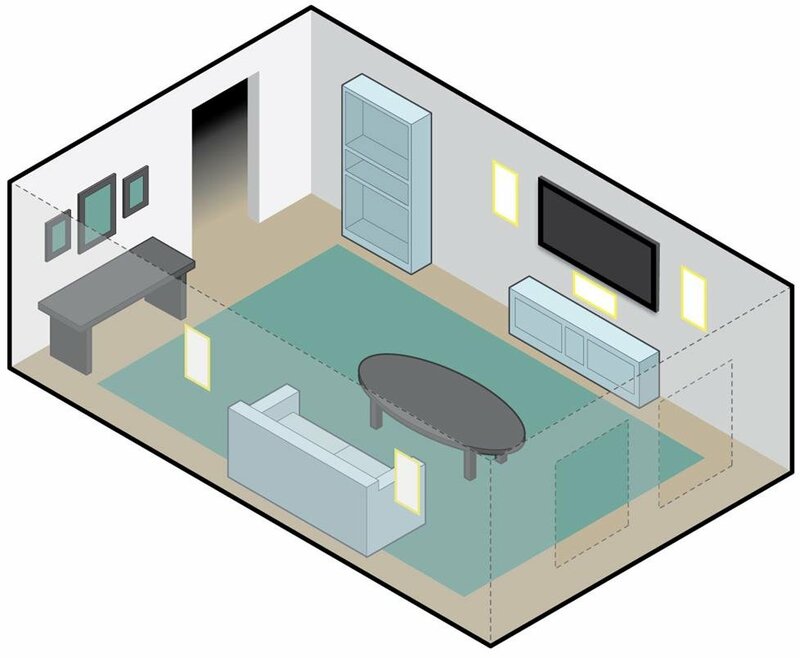 The size and layout of your room, along with which speakers you're using will determine the deal placement. I'm passing your inquiry on to our Advisors. They will be able to give you a more in-depth response that will take into account the specifics of your system. "Ideally, that reflection should be at the same level as your TV screen. You can figure out how far away from the wall you should place your in-ceiling speakers by using a mirror. Mark the spot on the ceiling where you think the speaker should go, then sit in your favorite listening position. Ask a helper to hold a mirror up to the wall, moving it up or down until you can see the mark on the ceiling reflected in the mirror." I read elsewhere on your site that the ideal mounting height for a TV is at seated eye level. If sit down and have someone place a mirror on the wall at my eye level I will never see any part of the ceiling. How do you recommend spacing ceiling speakers where the TV is at eye level? Hi Nic, I've passed your questions on to our Advisors. They'll reach out to get some more information about your room and your speakers. I'm sure they can help find the best layout for you! I have a question about 5.1.2 height speaker placement. My room is 27 feet wide with surrounds on the wall at each end of the 27 foot length. My fronts are only about 7 feet apart. Should I separate the heights by 7 feet or should I go wider and just split the room width into 3 and so 9 feet? Thoughts? Hi Kerry, absolutely! You'll have terrific surround sound by having in-wall front speakers, and in-ceiling side and rear surrounds. In fact, I'm in the process of updating this article to reflect that exact arrangement. Question. I was thinking about using a combination in wall and in ceiling speaker locations. I didn't see a diagram for that. Is it okay to have the front/middle in wall, and the rear and middle as in ceiling? Nathan, to get the best sound it's important that your front left and right speakers are the same distance apart from each other as they are from you. In other words, try to form an equal-sided triangle with those two speakers if you can. So if you're sitting ten feet back from the TV, each speaker would be placed five feet to either side of the center of the TV. What you want to avoid is placing the speakers directly to the left and right of the TV. While that looks good cosmetically, it robs you of the wide soundstage that the director intended. Feel free to give us a call for free personalized help with planning your new system. 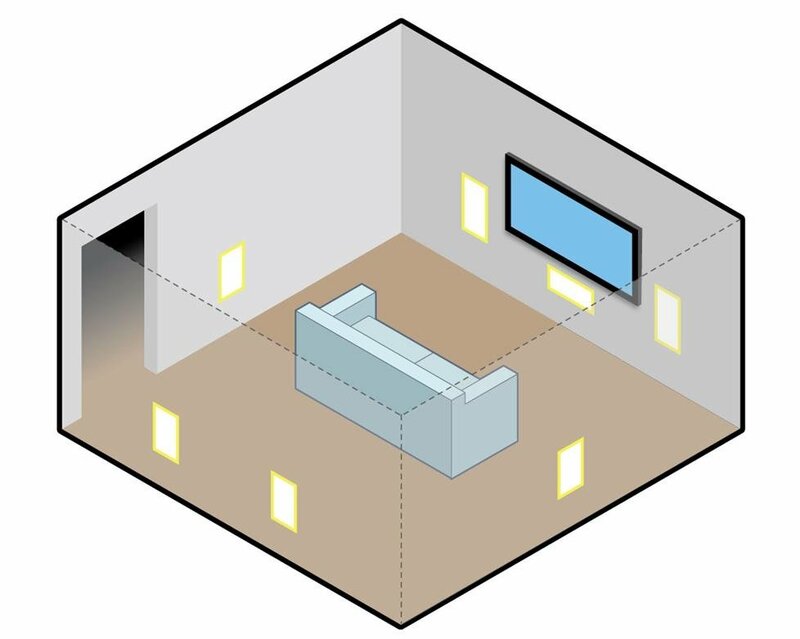 What is the recommend distance from your TV to place the left and right speakers? Hi George, your proposed layout is definitely ideal for your space. The only wild card is how the system will sound for those that are sitting against the left wall. But that will always be tricky since it's off to one side of the TV. Does your home theater receiver offer auto-calibration for multiple seating locations? If so, that will definitely help. Best of luck with the new system, and feel free to give us a call if any questions come up! Hi, we have a great room that encompasses the family room and the kitchen. So the tv and all the home theater components sit in the front of the room. Looking from the tv wall to the rear of the room, we have a left wall and rear wall, but no right wall because it becomes the kitchen from there. The ceiling is at 9 ft and the L-shaped couch is against the lef wall and back wall (we can potentially move the couch up about 2 feet towards the tv). I understand the front of the room speaker placement, R & L main, center and sub, but since I no "right" wall, can I mix the speakers up in this configuration: Surround backs (L & R) on rear wall - (acceptable height and width) Surrounds (L &R) - On ceiling over listening area (are these in line with Front speakers or a wider distance?) Front Presence (L & R) - On ceiling in front of Surround speakers (distance and in line with Surrounds?) Thanks. Joy, the placement recommendations will apply for your 10-ft. ceiling. Be sure that you have enough amplification power to get the volume that you're looking for since the speakers will be fairly high up. Feel free to contact one of our Advisors via phone or chat for a personalized recommendation for your room. I have a 10 foot ceiling. 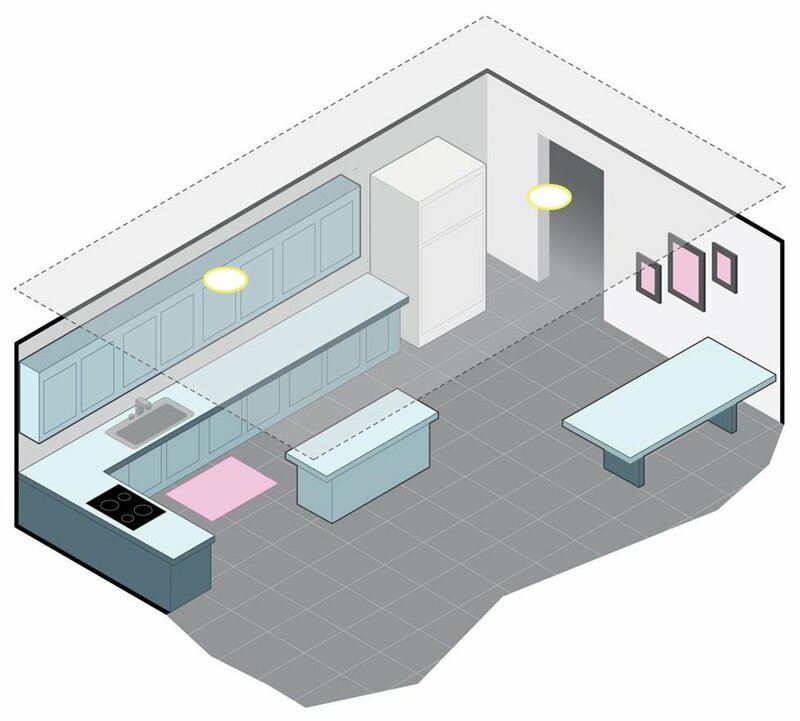 does it have any impact on the placement recommendations above given I have the same size of the floor area as with the above example? Maulik, we have forwarded your inquiry to our advisors for the best answers. They'll be contacting you via email soon. For immediate help, you can contact them via phone or chat. Hi, I'm remodeling my home and looking to add in-wall and/or in-ceiling speakers in family room, kitchen and master bath. We're not audiophiles, looking for a very good quality system and guidance optimum placement of speakers while we're in design phase. Looking for suggestions on how to proceed with speaker placement and selecting system. Phil, to avoid any impact on sound due to differences in wire length, I recommend using equal runs of wire on each stereo pair of speakers. If one speaker is connected with a significantly longer wire than the other, the greater resistance in the longer wire will reduce its output due to power loss. One could always use the balance or level control (if available) on the receiver or amp to compensate, but this may affect any other speakers connected as well, and would be less than ideal. I have a 800 sqft basement that I am installing speakers into the ceiling. The receiver is off in one corner. So the wire length is considerable longer for some of the speakers than for others. I know that you have to be mindful of the wire resistance and so I will need 12 AWG. But with such large differences in wirelength, will it impact the sound from the speakers differently? Should I use the same length wire for each speaker (even if I just coil in up where it is not needed)? Hi, I have a long (40x20) room and am examining speaker placement. 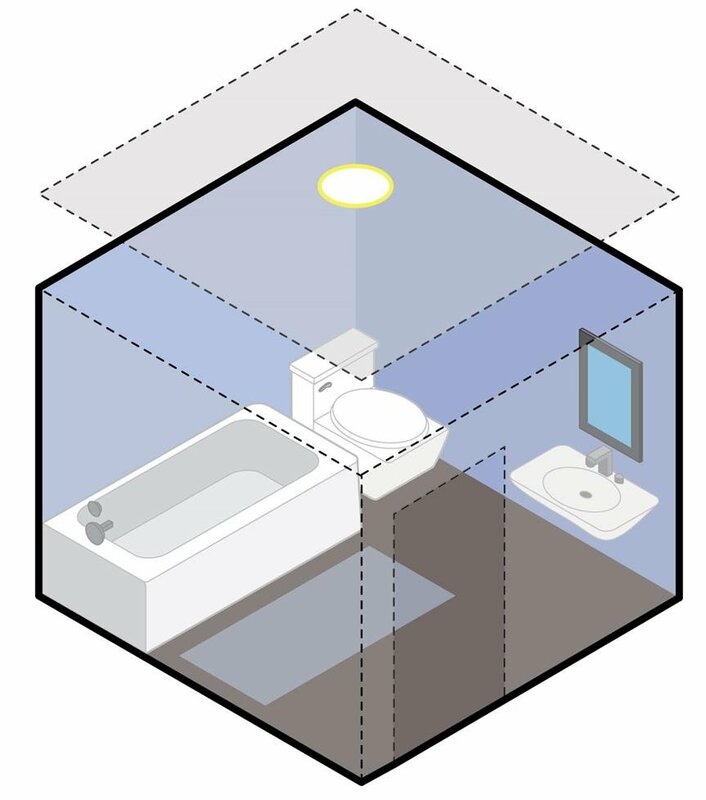 The space has no soft objects to absorb sound. The application is background listening only with in wall placement. There is a small (8x6) mechanical room in one corner of the space so the shortest of the longer walls is approximately 32 feet. I intend to mount the speakers on this 32 foot wall but could mount one on the mechanical room wall so that one would be on the base and one on the leg of the L shape created by the connecting walls. I am also wondering, should I mount them higher on the wall or lower? John, For help deciding what you need prior to purchasing your system, please just give our advisors a call. For help setting up the gear you already bought from Crutchfield, you can call Tech Support for free assistance. If you purchased your equipment elsewhere, you can still get expert Crutchfield Tech Support - 90 days-worth for only $30. Check out our tech support page for details. Hello Dave - I am having some challenges with my surround sound speaker placement in my awkwardly shaped living room. Can I get some guidance from either you or anyone on your team as to where the optimal location is for my 5.1 surround sound speakers? Jon, I must confess that I forwarded Jesal's inquiry to our advisors for further assistance (as I have done with yours). The situation that you both are in has a number of possible solutions that requires more discussion and planning than practical through a single email response. You'll be in good hands with them. Dave. Jialu, I sent your questions to our sales team for the best answer. They'll be contacting you via email soon. For immediate help, you can contact them via phone or chat. Good year Dave, I am building a HT for the bedroom. 17.3' long by 12.4' wide by 7.8' high. My current plan is leaning towards 5.1.4 with in wall/ceiling speakers. As the trade-off of implementing a HT system in the bedroom is that the headboard is often aginst the 12.4' wide wall and it will be technically the MLP. In such case, how would you recommend on the speaker placement specifically the atmos ones in ceiling? What sizes of speakers should i consider? When I purchased a new build, I had them pre-wire the family room for home theater, but did not expect them to put four speaker connections in the ceiling , and not all that spread out (I didn't have any say, apparently - no one asked me). My wife thinks we'll be OK if we can tilt the speakers a bit - especially the back ones, so that sound isn't coming directly down on you. Is such a configuration going to work? Or are we better off just setting some speakers up externally and forgetting about the ceiling? The center speaker will most likely go below the TV, and the sub off in a corner. Good question, Bill. As I recall, Dolby recommends placing your base speaker system (front, center, and surrounds) at ear level for an Atmos system. I see no issues whatsoever with the front and center speakers in your setup, but using in-ceiling surrounds may very well reduce the level of Atmos height effects that you experience. By how much is really hard to say, as we're still charting relatively new territory here. If possible, I would suggest using on-wall or in-wall surround speakers, rather than in-ceiling. will there be enough separation for a 5.1.2 ATMOS system with the following: ATMOS enabled bookshelf speakers for Front L/R channels On wall Center Channel In-ceiling rear surround channels. Monika, we sent your question to our sales team for the best answer. They'll be contacting you via email soon. For immediate help, you can contact them via phone or chat. OK a square room with all 4 walls is easy...how about this: we're refinishing our basement, picture a 3 wall room with an L shaped sofa. TV will be directly across the one part of the sofa, the other sofa side will be facing another room. How do you place speakers on this set up? Jim, you may want to give our advisors or techs a shout to help map out your speaker placement. You should probably also be aware that Dolby does not recommend an all in-ceiling speaker installation for Atmos. 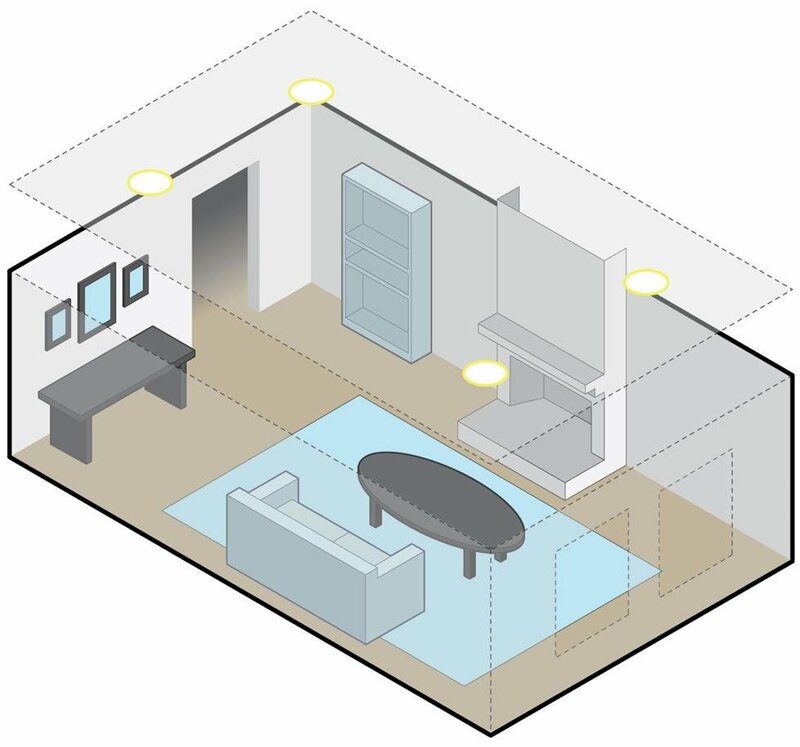 In order to work properly, Atmos requires a 5.1 or 7.1 ear-level base speaker system with either two or four in-ceiling (or Atmos enabled) height speakers. If all of the speakers are mounted in the ceiling, the proper height effects cannot be reproduced. Jesal, we sent your question to our sales team for the best answer. They'll be contacting you via email soon. For immediate help, you can contact them via phone or chat. What is the best speaker recommendation for a 7.1 system which can accommodate 2 in-wall front right and front left channel speakers, an in-ceiling center channel, and in-ceiling right and left channels, as well as in-ceiling (or in wall) right and left back channels? Is there a more optimal speaker configuration? Can Dolby Atmos be accommodated with this setup and if so, what speakers or receivers would work best? Thanks. Sorry for the confusion, Adam. What we were trying to say is that an Atmos surround sound system consisting exclusively of in-ceiling speakers is not recommended. That's because if the entire soundtrack is being projected at you from above, Atmos won't be able to accurately recreate the "height" effects. It's perfectly fine (preferable even) to use in-ceiling speakers for the height channels in an Atmos system, just be certain to use in-wall or on-wall speakers placed at seated ear level for all of your other channels to ensure optimum Atmos height effects. I'm confused-The section on "installing in-wall or on-wall speakers has a bullet that says "For Atmos home theaters, Dolby recommends using four ceiling speakers, with one pair located in front of your listening position and a second pair behind it." Then the section on installing in-ceiling speakers has a bullet that says "A Dolby Atmos surround sound system incorporating only in-ceiling speakers is not recommended." So which is it?